Another update is well overdue I think. If you have read my other posts re. gardening (1, 2, 3, 4) you may have figured that our horticultural beginners journey is one of highs and lows, and it continues to be so. garden... one cat in particular for us I fear is our own rather heavy grey feline called Pippin. When I first started preparing the beds I think she misinterpreted my work as creating a sunbed/toilet for her. This did not stop when the first seedlings were planted! We remedied this with placing large netting over the beds as you may see in the background of the image here. air moving in the space. 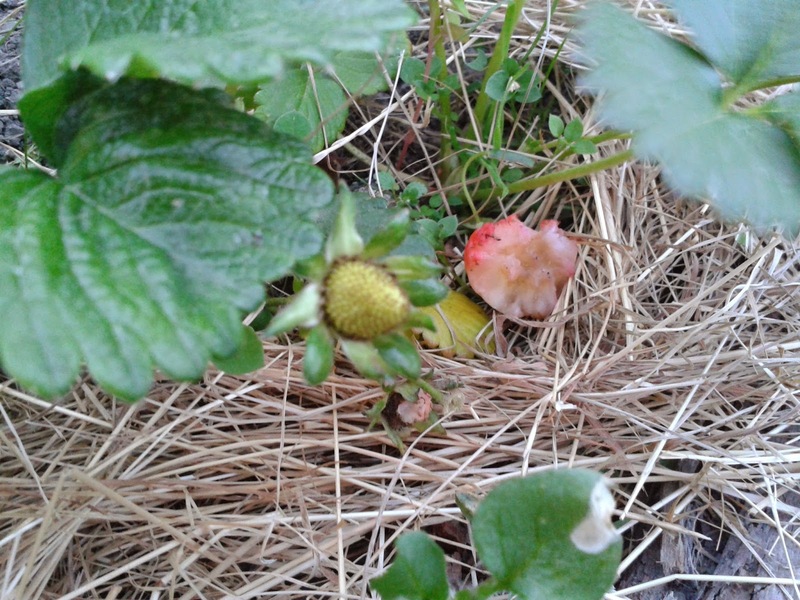 I assumed my strawberries were safe in the glasshouse and didn't even think to cover them... I was wrong! Lesson learned. Weather again... this time heat. I was away for work for a couple of days and one of these was particularly warm. I had left instructions for watering in my absence but neither of us had anticipated the impact of heat in the glasshouse on the seedlings. When I came home found that most of my delicate capsicum seedlings had fried in the hot sun. Another lesson learned. As you can see our setbacks have been based around nature, and so it seems to me that learning to garden successfully is about learning to live in harmony with nature itself. We are finding our way. Our basil is growing well and I will be thinning it out in the next week or so. My last lot of corn planted is growing and the wind break cloth seems to be working with protecting it from some of the harsh winds we have had lately. I have also nursed our last three pumpkin seedlings to ensure they are as healthy as possible and just planted them outside in the last day or so. So far they are looking good, I wonder if I had planted them too early last time? 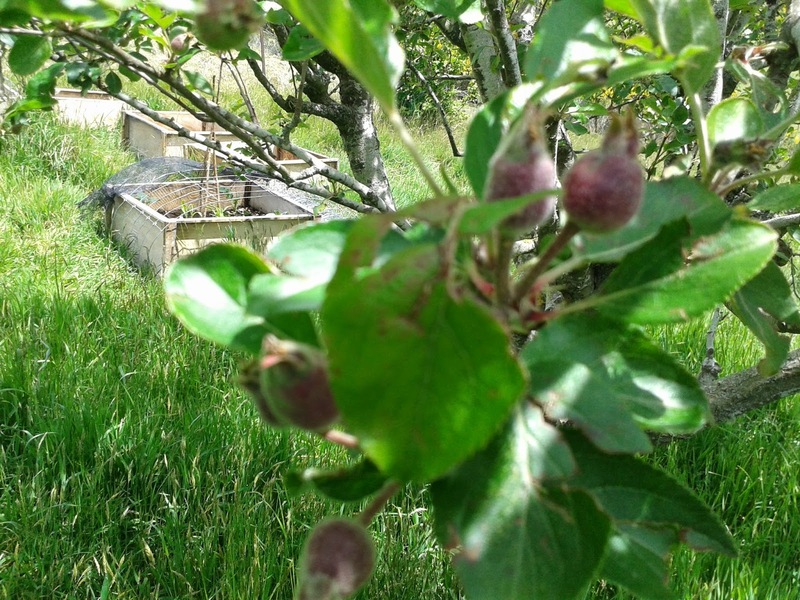 We have little apples beginning to grow on our three old apple trees as well, yum, apples for Autumn. 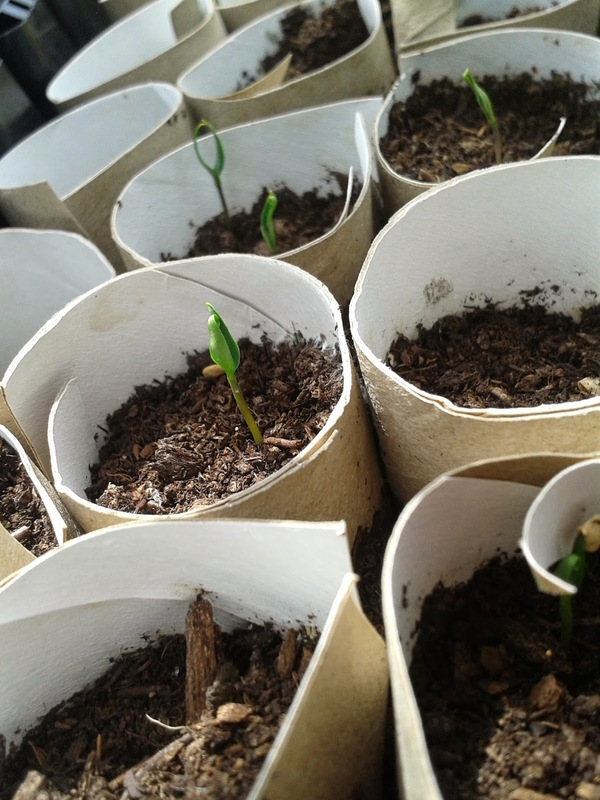 I have been experimenting with striking seed on dampened paper in plastic lidded containers, so far the beans and peas have responded well. Will keep playing with this method. We have eaten some of our own spinach and it was delicious. It seems to have come away from the hail storm OK, not perfect but OK. 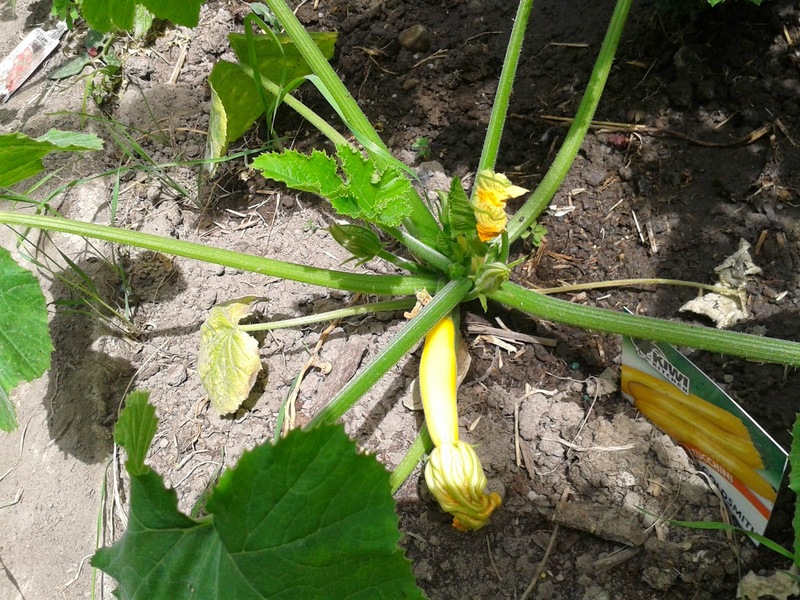 The zucchini are doing really well and we will be eating our first one soon. We have little tomatoes on all of our tomato plants. 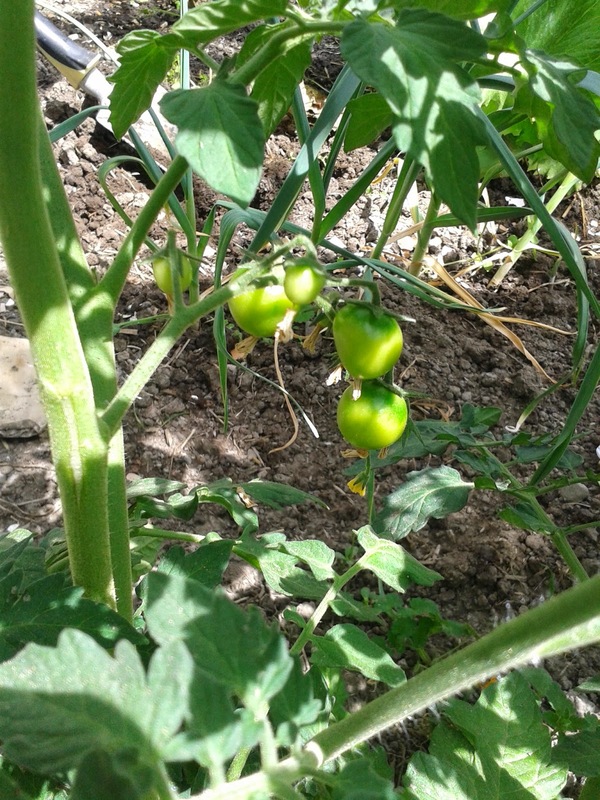 I love the smell of our tomato plants, it brings back fond memories of my dad including one of the last moments I shared with him in his garden when he was ill. He loved his garden and grew the best tasting tomatoes, I hope that my use of the 'ucky' bucket juice (seaweed soup) will help to replicate the flavour a little at least. 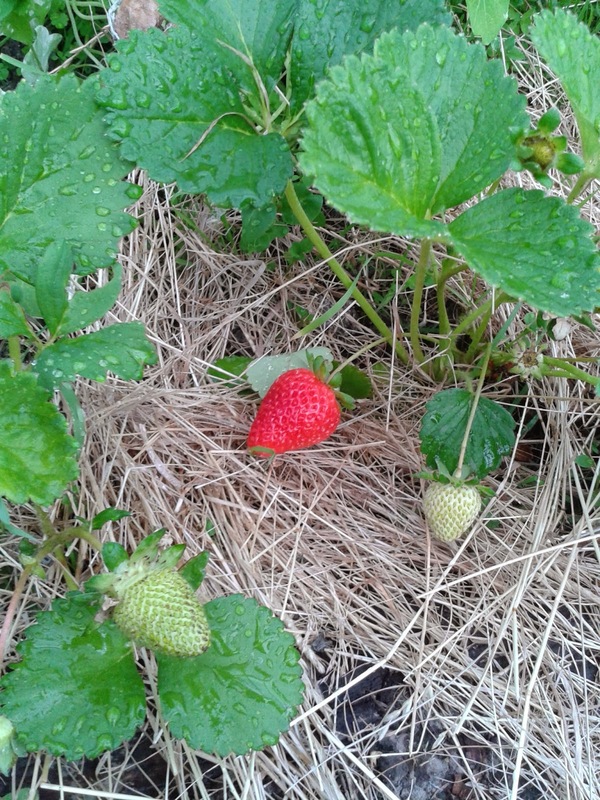 The other night we finally had another ripe strawberry, so when my little man came down to tend the garden with me I got him to check the strawberries for me, there was much excitement when he saw the juicy red strawberry sitting there. We picked it and I gave it to him to eat. He took a small bite and the response was one of absolute joy "oh mumma, it tastes soooooo goooood!" He ate it slowly and thoroughly relished every bite. It was wonderful to see and in some ways I wish I had taken a photo but on the other hand I am pleased that I was just able to enjoy the moment with him.